Why is Church Extra Important for Elderly Members? This post addresses the importance of engaging elderly members of your church. It's the part of our series on church engagement. Did you know that more than 50% of Americans still attend a religious service at least once a month? In addition to helping people connect with God, church provides a wonderful way to engage with other members of the community and meet new friends. Though its benefits are obvious, many senior citizens who currently lack a church home are hesitant to attend service. This post outlines four ways church attendance benefits senior citizens and shows why they should cast any doubts aside and give Sunday morning worship a chance. Many of us feel the familiar pangs of loneliness once in awhile, but for seniors, loneliness can become an everyday occurrence. With age, many people drift from friends due to retirement, medical problems, or a reduced ability to perform the hobbies and activities they once enjoyed. Friends, family members, and significant others may pass away, further contributing to social isolation and feelings of loneliness. Why does this matter? Well, loneliness can contribute to health issues (not to mention problematic habits) in older adults, so it’s vital to prevent its regular impact. Research shows that regular attendance at church services may significantly decrease your risk of loneliness by providing social support. Church makes it possible to meet community members and new friends. Even shy or introverted individuals can benefit from surrounding themselves with other churchgoers, even without conversing with anyone. There’s a strong connection between prayer and an increased sense of well-being. People who pray are often friendlier and more forgiving than folks who don’t, and prayer can also reduce the damaging effects of stress on your mind and body. Though anyone can pray at home instead of church, group prayer is often a peaceful, powerful experience. Attending church can also teach people new prayers that can make it easier to pray at home. Churches have pastors or other leaders who are happy to meet with churchgoers who want to pray with someone, which helps provides a sense of belonging for senior citizens. As people get older, it becomes much more difficult to exercise regularly. Attending church isn’t a full-body workout, but it does require people to leave their homes and walk or drive to a place of worship. Once there, they may have to stand during prayers, sway slightly during songs, or even raise their hands in worship. Physical activity improves our moods, but it also makes us less likely to develop conditions such as high blood pressure and Alzheimer’s Disease. Getting out of bed for church may help motivate your older church members to incorporate exercise into your daily routine. Though these movements aren’t the most strenuous, being a part of the life of a church provides regular opportunity to get up, move around, and ultimately feel more healthy. As many age, the fact that they're approaching the final states of their lives becomes more real every day. With eternity on the horizon, being an active participant in a Christian congregation provides an inward peace that, for many, nothing else can provide. Church provides an outlet for people missing their grandkids or stressing about a spouse’s deteriorating health. They can vent to a pastor when the service ends, let hymns and scriptures distract them from concerns, or figure out new ways to cope. But What if They Can’t Attend? Despite these benefits, the fact remains that many senior citizens, for a variety of reasons, simply can’t attend church on any given Sunday. This doesn’t necessarily mean, however, that they should be excluded from meaningful effects of being a part of a community. Live video streaming your services can help with that. When a church decides to live video stream its services, it communicates to its members that they are valued and appreciated. It’s a way for a church to extend its reach beyond the physical confines of its walls. 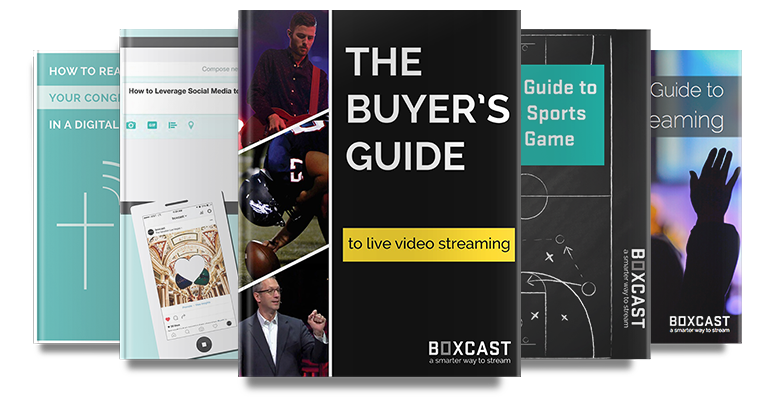 To learn more about your church can start streaming, download the Pastor’s Guide to Live Video Streaming: How to Reach and Engage Your Congregation in a Digital World. Jason Lewis is a certified personal trainer with a BA in Human Performance / Exercise Health Science. When becoming the primary caretaker for my mother after her surgery, he identified a special need for trainers that could assist seniors in the community. He has worked with doctors and other trainers to create programs that are considerate to the special health needs of those over the age of 65. Is Your Church Using Social Media the Right Way? Why Are Church Choirs On the Decline?